November is the month of remembrance where we take time to remember the fallen soldiers from all wars, including those that continue today. 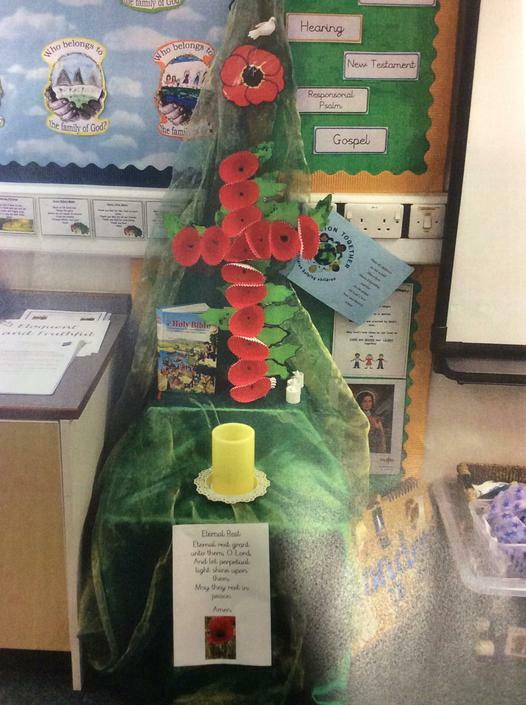 Year 3 have each made an individual poppy which has been beautifully put together to make a class wreath. During our collective worship we gathered together to say our own special prayers for the deceased, we wrote our prayers and put them into our class prayer box that we keep on our focal point.